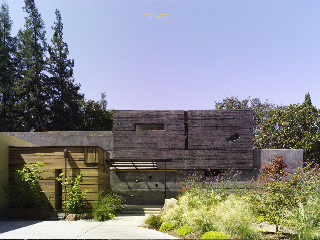 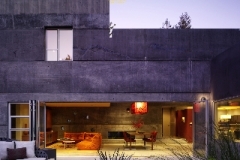 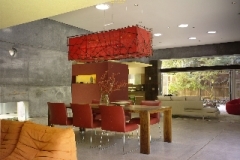 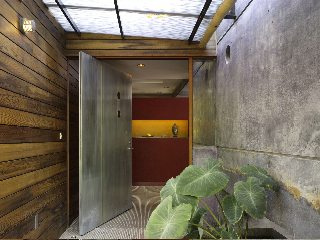 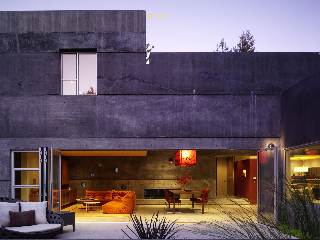 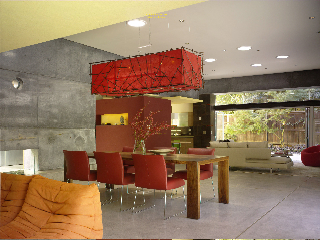 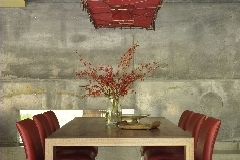 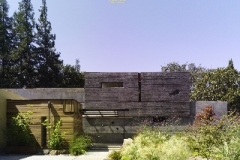 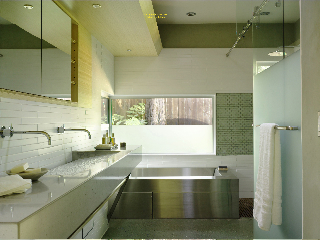 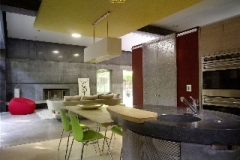 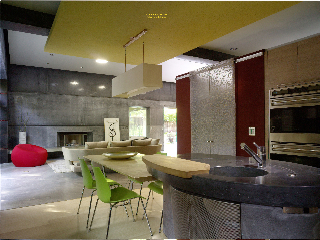 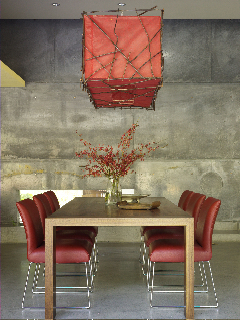 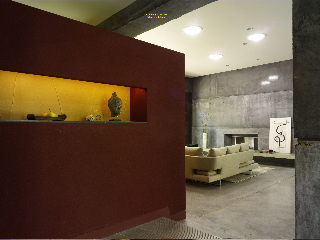 House 6 in Menlo Park, Calif. is a tactile excursion into the sensuous appeal of concrete. 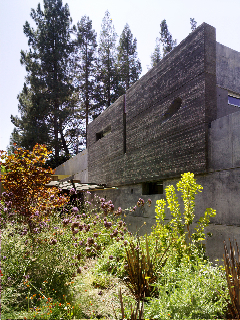 At the heart of the 4,000 square foot home is a hybrid core of concrete and wood framing. 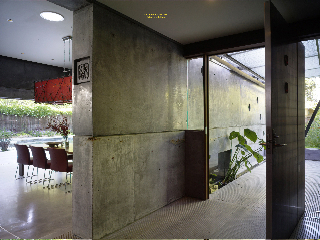 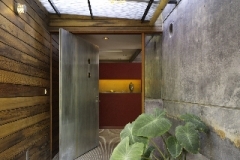 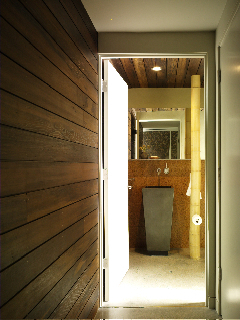 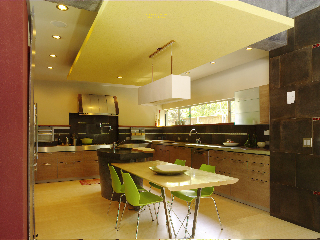 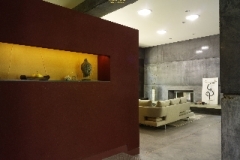 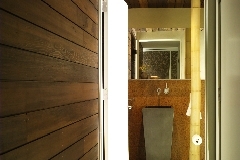 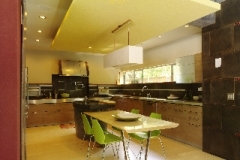 While some of its walls are rough, board-formed concrete, others are hyper-smooth and seemingly polished. 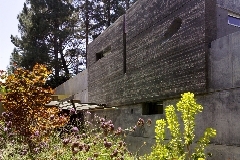 Still others are articulated with bands of exposed aggregate and color. 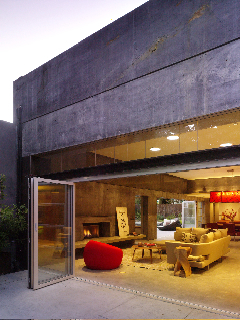 All form a theatrical backdrop for the furniture, objects and fixtures inside. 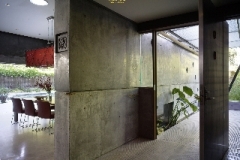 Designer Fu-Tung Cheng said his concept was to create a building that, while minimalist, would convey design and craft by “playing” with and controlling the mix of the concrete walls as they were being poured. 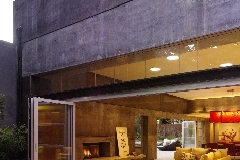 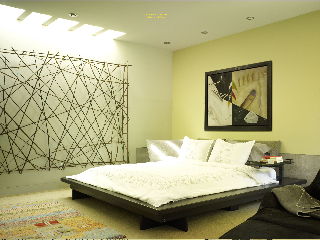 That means, for example, polycarbonate translucent panels and light fixtures with twigs inserted by David Wards of a company called Sticks & Stones.